I know, I know. 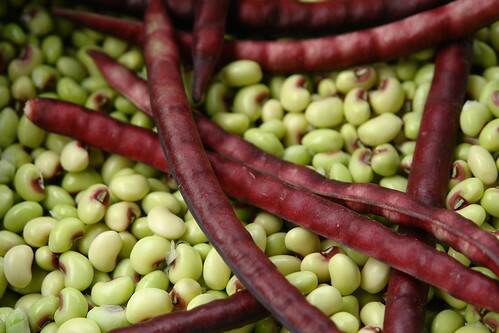 What's a purple hull pea? If you're from the south, you might have heard of them, but if you're a Yankee like me, then you probably haven't. I first discovered them at the local farmer's market a few summers ago and wound up really liking them. They're basically like a black eyed pea, except that the "eye" is purple. Unfortunately, I haven't seen them since until a recent grocery store trip, where the canned version was on the shelf in front of me. I immediately picked up a can and made this recipe for dinner that night. In a medium size skillet, brown the meat and onions, then drain. Cook yellow rice according to directions on package. In a large bowl, add hamburger meat with onions, purple hull peas, cooked rice, mushroom soup, and 3/4 of the shredded cheese and mix. Place in a 10” X 13” dish and bake at 350° for 20 min. Remove and sprinkle the remainder of the shredded cheese on top and place back in the oven for 10 min. or until cheese is melted. The theme for this month's Cara Box Exchange was Go Green in honor of Earth Day falling in April. My partners this month were Megan, who sent me a box and Angie, to whom I sent a box. I received a reusable cup (which has now been claimed by my two year old! ), a plastic bag holder made out of a Lysol wipes container (genius! ), natural Neutrogena chapstick and a handmade frame made with corks Megan has collected because she knows I love wine (there's damask! love it!). I also received something that's actually green, a cactus magnet! I get it. I really do. 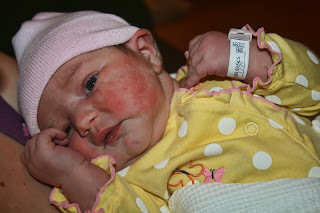 No one wants to hear birth horror stories, they just want to hear about the ones with happy endings, as evidenced by the response (or lack of) I got to my recent birth stories and birth plans post. Does that mean that I will stop posting about my journey back into the light from birth trauma and ppd? Absolutely not. My story, and others like mine, deserve and need to be heard too, both as a cautionary tale and for their own healing. As I've been reading others' birth stories, I come across countless stories of induction, elective or for "medical" reasons and all sorts of interventions. I wonder after reading each one "do they know how lucky they are that everything turned out well?" I may be wrong, but I genuinely don't think they do. I am happy for them, but also sad for them for buying into everything that is spouted by the medical profession. 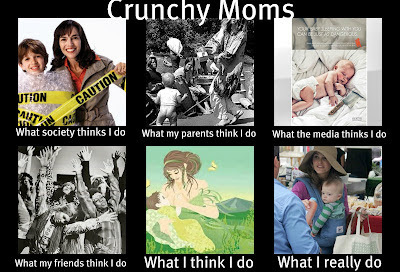 I know that compared to most if not all of these women, I am extremely crunchy (which cracks me up because I don't think of myself that way at all - and I know so many women who are much more so than me!) and they probably think I'm nuts. Which is fine. The one story that really got me though, was one that was so similar to my son's birth and I could really relate to it. Until the end. Where she stated that "The only thing that matters at all, is that your baby arrives safely, and that you and baby are healthy and in one piece at the end of the experience." This made me so sad and angry. Sad because it appears that this woman has bought into what was told to her and angry because well, see below :-) I actually typed up a response while nursing at 3AM but deleted it before posting because I decided to address it here. This just makes me so angry. How would you feel if you found out you were lied to about the necessity of your c-section, if you were told repeatedly that you're imagining feeling the cut yet you really are feeling everything, that your baby is in distress when the only distress is your doctor's because he wanted to get home in time for dinner? This list can go on and on. So, you're ok with your c-section. Great! Good for you. Believe me, there are so many times I have wished I could just magically be ok with it and move on. But I can't, I'm still grieving. 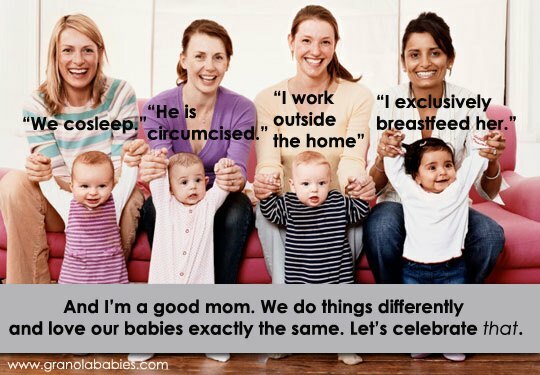 We're all moms here, why don't we support each other, no matter the circumstances. Please don't invalidate my feelings or anyone else's just because you happen to feel fine about it, thanks. Dear Special Monthly Visitor: SO not cool that you have come back at only six months postpartum. I was hoping that since I'm exclusively breastfeeding Cecily, I wouldn't have to worry about you for at least a year. Dear JCP Portraits: Thanks for the crappy photos your crappy photographer took. It was supposed to be Cecily's six month photos and we have ONE crappy photo to show for it. Please hire better photographers who are good with children. The only reason we came there in the first place was because I had a Groupon. We will not be returning. Dear Ewan: I am so proud of you for peeing on the potty all this week. I know that we're only at the beginning of potty training, but I hope everything stays this way! Dear Cecily: You turned six months old yesterday, I can't believe it. I love you little girl! Dear Weekend: Please slow down, I enjoy you too much! I've already posted both Ewan and Cecily's birth stories on my blog and since they're pretty long, I'm just going to post links to them. But, here's the basic gist. With Ewan, I was at a hospital with very backwards policies and due to the cascade of interventions and his position, wound up with a c-section after 36 hours of labor (12 at home) and not one, but two epidurals that only worked on one side. I've posted about this numerous times, but the whole experience has left me with severe post partum depression and ptsd. With Cecily, I made one of the best decisions of my life to switch providers at 36 weeks from one who was forcing me into an unwanted repeat c-section to one who was allowing me a Trial of Labor After A Cesarean (TOLAC). 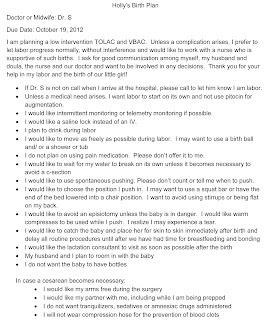 I was at a different hospital in a different state and had the most amazing, empowering experience that resulted in a successful VBAC (Vaginal Birth After Cesarean). Do you need a birth plan? YES! Especially if you're planning an intervention free birth. While you do need to be prepared for things to change and go off your birth plan if necessary, it serves as a great guide during labor. Several things to consider though. If your provider "doesn't believe in birth plans," Run. Bring at least two copies to your doctor for he/she to sign when you discuss it and if they refuse to sign it, Run. If they don't listen to you or barely glance at it and tell you they will "put it in your file," Run - this usually means it's going into the trash. A doctor that can't respect you enough to discuss your wishes in the office definitely isn't going to when you're in labor. 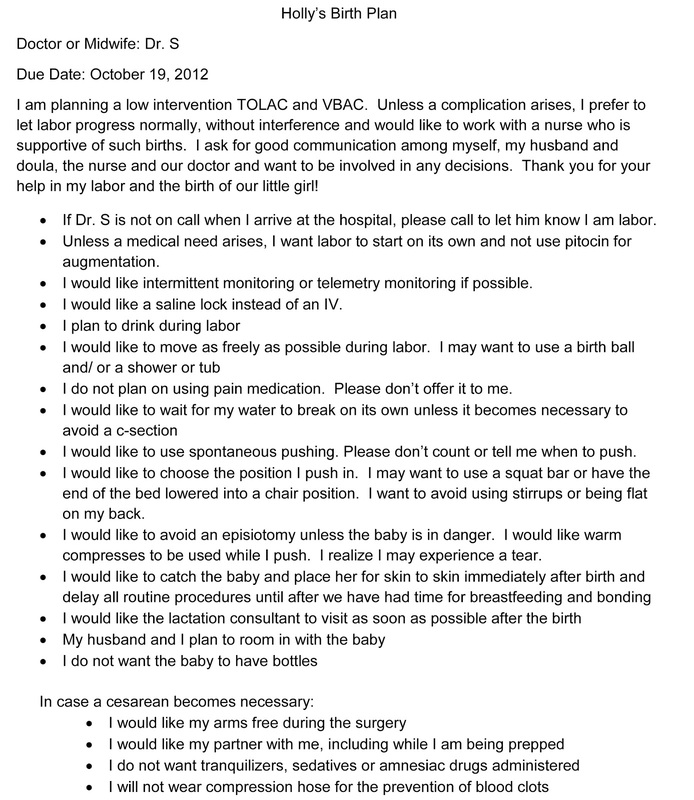 If you aren't able to switch providers, I strongly encourage you to get a doula. They have tons of experience with mothers in labor and are able to suggest things that you may never have thought of otherwise. Plus, they can speak up for you when you aren't in a position to do so. Growing Gracie's Giving Away Presents for Her Birthday! 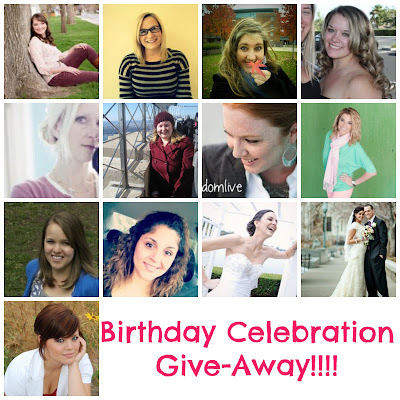 My birthday is next Tuesday (April 30th) and I decided that I wanted to do an awesome giveaway to celebrate! These ladies are the best. Seriously. This is my VERY first giveaway that I've done on my own! Thanks to some help from my dearest Brooklyn over at This Little Blonde, I worked out the kinks and I am just so excited!! The giveaway will go from now until May 1st. The winner will also be announced May 1st. The winner will be verified, so please be honest guys. It's a celebration after all!!! Good luck everyone and (In a Hunger Games fashion...) May the odds be ever in your favor! I'm again offering free sponsorships in May! Use the code SPRING for a large ad. Hope to see you on my sidebar!